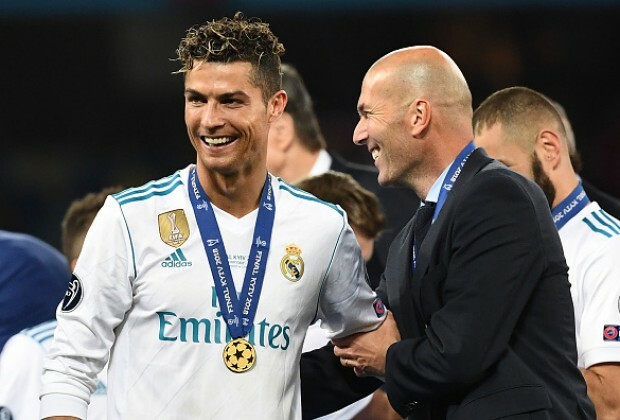 A former Real Madrid superstar feels that while Cristiano Ronaldo was an iconic figure at Los Blancos, his departure from the club has not been the reason for their average form this season. Many have attributed Real’s drop in form to the absence of Ronaldo, who was always on hand to score goals when Los Blancos needed him most. Despite his superstar status and ability, Clarence Seedorf feels the club misses former manager Zinedine Zidane more. "Cristiano was considered a king in Madrid and was a guarantee for the team," he told Marca. "If Cristiano was still in the team, Madrid would have had more confidence, but I do not think the results would have been so different. "Zidane's departure probably had a bigger impact because the work methodology changed. "Whoever had replaced him would have needed to be special to have immediate success and overcome the initial difficulties." Despite their poor start to the season, Real are now six points behind LaLiga leaders FC Barcelona. Do you agree with Seedorf remarks? Let us know in the comments section below.